A Northamptonshire based company established in 1985, EBS has been at the forefront of the SIM card industry since the very inception of the Pay As You Go SIM card, over fifteen years ago. At a time when the market place differed greatly to what we know today. With the recent explosion over the past couple of years of Smartphones and Tablet devices our SIM card portfolio has now extended to encompass Micro, Nano and Data SIMS. Our customers are nationwide and include independent mobile phone retailers with outlets ranging from one to one hundred, Wholesalers, CTN’s and On-Line retailers. EBS is pleased to announce that we are now able to supply T-Mobile SIM cards following our recent appointment as a T-Mobile distributor. This additional network will complement our Orange SIMS within the EE family. We are extremely positive about the recent T-Mobile pay as you go refresh. 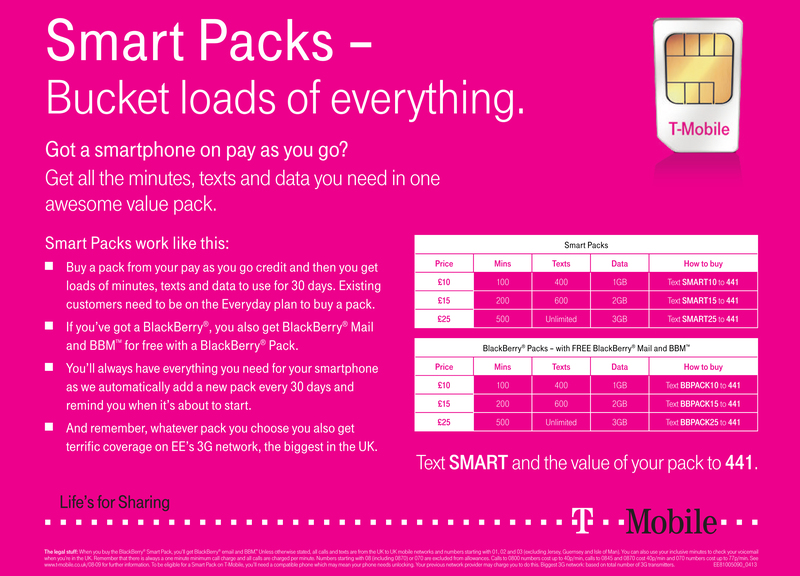 The new Smart Packs offer customers all the minutes, texts and data they need to get the most out of their Smartphone. EBS recognise the importance attached to building long term strategic partnerships with all their customers and this is an integral component in the continued development of the business. The core philosophy at EBS has always been to deliver an unrivalled and sustainable level of customer service at all times. This stance has allowed the company to foster on going loyalty from both customers and suppliers alike. People buy from people, a very simple statement and something EBS believe is instrumental in maintaining their stability and continued success. EBS appointed as T-Mobile distributor.